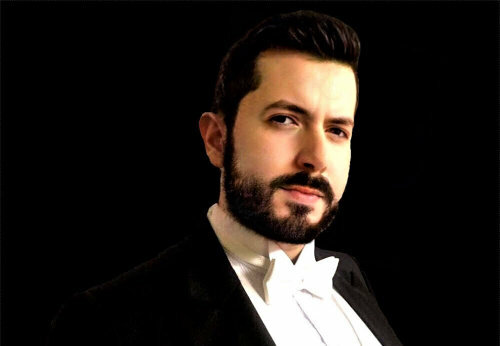 Mexican baritone Gerardo de la Torre is one of opera’s exciting young up-and-comers. He recently tied for first prize at the prestigious Verismo Opera’s Annual International Vocal Competition. I am thrilled to have had the chance to discuss his career and love of opera with him. You’re fresh off a first prize win at the New Jersey Association of Verismo Opera’s 30th Annual International Vocal Competition. First off, congrats! Like many opera artists, you’re no stranger to these types of competitions. Do you still get nervous when you compete? First, thank you for inviting me to this interview. I want to say that I’m very grateful to God and with life to have the opportunity to perform in this incredible competition together with gorgeous singers from all over the world in front of an extraordinary panel of judges of the highest level in New York City. Learning from Maestra Evelyn La Quaif in her masterclasses was such a life transforming experience. As in every competition or audition, there are multiple factors that singers must keep in control, and nerves is probably the most important one because it can determine the entire success or failure in a performance. Many things happen in your mind and body when you’re about to get on stage, but I have learned from my experience that the secret is to trust your voice and trust your technique no matter what, because only in this way will you be able to stop overthinking and start enjoying more. The idea is simple: if your voice enjoys singing, your public will enjoy together with you, but if your voice suffers because of singing, your public will suffer listening to you. This is why having a proper vocal training is crucial for singers, because no matter how well you know your music or how good an actor you pretend to be, without a good technique it is just impossible to be able to express any organic feelings to the public. The more you master your own voice, the more you will keep your nerves in control. What pieces did you perform in the last rounds of this latest competition? In the preliminary, I performed “È sogno? o realtà” from Falstaff (Giuseppe Verdi) and “Questo amor vergogna mia” from Edgar (Giacomo Puccini). In the finals, I performed “Warm as the autumn light” from The Ballad of Baby Doe (Douglas Moore) and “Nemico della Patria” from Andrea Chénier (Umberto Giordano). If you were at a party and all of a sudden everyone around you started chanting “Sing! Sing! Sing!” at you, what would be your go-to aria in that situation? That’s a really good question and I want to mention that it’s always very important to have ready our battle horses for every occasion. Take, for example, if I’m at a completely informal party with friends, they’ll appreciate to hear something that can feel somehow familiar, and I consider that the “Toreador song” (Carmen) is definitely a perfect choice for baritones. On the other hand, if we’re talking about a party where guests are more related with opera, I’d go for something flashier with a bombastic high note like “Largo al factotum” (Il barbiere di Siviglia). And finally, for cocktails and formal parties where guests may expect to hear the finest pieces of classical music, I think that “Hai già vinta la causa” (Le nozze di Figaro) will always leave a very nice impression. Is there a role that is particularly challenging for you for some reason? From the roles that I have performed, Ford (from Verdi’s Falstaff) has been definitely the most challenging one. Falstaff is the last opera that Verdi wrote, and certainly is a masterpiece that shows the complexity of a harmonic chiaroscuro, contrasting the buffo interpretation that is required for a comedy and the diverse dramatic colors that can be reflected throughout the opera together with strong Wagnerian influences that result into a true challenge. The language is also a delicate point because this is purely Shakespearean Italian, so it’s highly advisable to consult the libretto with a proper Italian coach in order to have the most accurate translation. It’s important to mention that this role is not recommended for lyric baritones, as it demands a lot of stamina, together with a resonant voice and a very solid register from the low notes to the top. You can hear how the whirling passion of the Ford’s aria “È sogno? 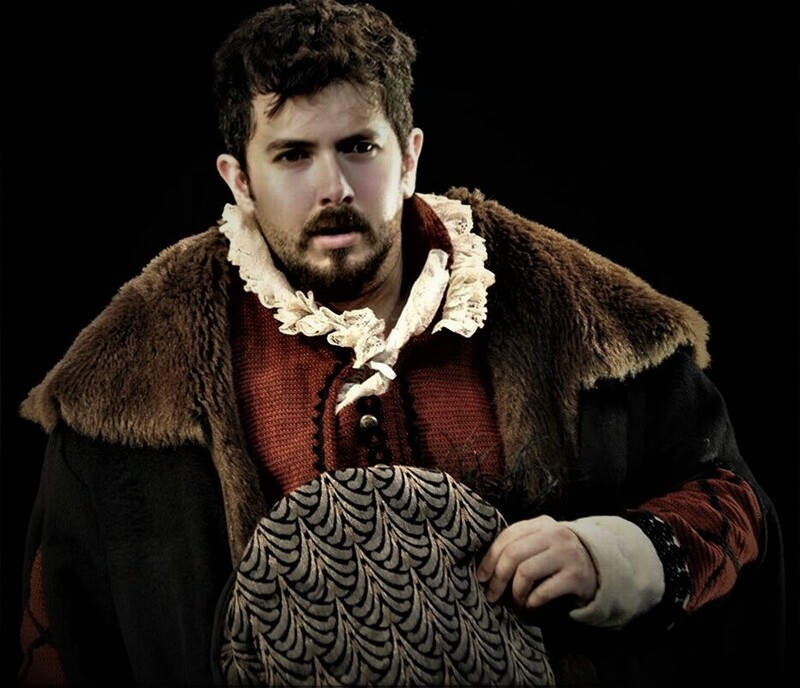 o realtà” makes evident the need of a true Verdian baritone voice for this role. Furthermore, Falstaff is a highly dynamic opera as many things are happening at the same time for literally everyone on stage. For example, there’s a very funny scene where Ford is furious looking for Falstaff in a laundry basket, and while this is happening there’s very difficult music to sing while throwing clothes into the air; everything happens too quickly and there’s almost no chance to look at the conductor, which makes it so easy to lose the beat at any time. You’re using 100% of your brain and you have to know your music really well, because any little mistake can mess up the work of all your colleagues, as most of this opera is about very challenging ensembles, making it tremendously difficult even for the best conductors to give cues, particularly in the fugue at the end of the opera. Falstaff is truly teamwork from beginning to end, and putting it on stage can be seen as an immeasurable challenge, but believe me, once the desired result has been reached by everyone involved in the production, there’s no way to describe the incredible satisfaction of performing this opera. Is there a role you’re dying to perform but haven’t yet had the chance? As most of baritones, one of my dream roles to perform is definitely Scarpia. Personally, I consider myself the biggest fan of Puccini on earth, despite the fact that most of what he composed was particularly for tenors and sopranos; but with this character and his aria “Tre sbirri, una carrozza.. va, Tosca!”, Puccini completely exceeded every expectation for a dramatic baritone role in one of the greatest operas ever written. Tell us about your first opera memory. Did you attend one when you were a child? Did you hear one on the radio? Did your mom sing arias at home? It’s hard to believe this but I was immersed in a sea of the opera even before I was born. My mother, who is a brilliant doctor, said that when she was pregnant, my father, an exceptionally gifted baritone who retired from opera to become a lawyer, liked to sing arias in her belly and I reacted kicking inside of her womb in excitement. Since I was a baby, my mother used to sing popular songs for me and even played with me making musical intervals with her voice that I imitated, surprisingly, very accurately. She’s the reason behind my perfect pitch. Opera has always been part of my life. I remember watching my father performing Rigoletto on TV and attending his recitals, when I was a little kid. I also remember that my maternal grandfather (rest in peace), who was a proud Spaniard, wanted me to sing Agustin Lara’s Granada in a singing competition, when I was in elementary school. I won that competition, and I still have my trophy at home! Looking back, I realize how incredible he was looking forward to my future as an opera singer. Another anecdote from elementary school that marked my approach to the opera in my life is when I joined a children’s choir and we performed selections of Bizet’s Carmen. Even more, Carmen is the first opera that I saw live in a theatre, when I was 16 years old. From that evening of the performance, I realized that my life would never be the same. Perhaps that explains my feelings about the “Toreador song”! Outside of singing opera, what are you passionate about? Honestly, I don’t have other passions in the same way as I do for the opera, but besides classical music I also love jazz and classical rock. I’m a man of mountains and there’s nothing I enjoy more than making a barbeque with my family and friends. I’m not very into sports, but I’ve practiced martial arts my whole life and I’m really good at it. Also, I’m a fervent reader, a frequent traveler (mostly because of my profession), and a true dog lover. I wish I could adopt every dog I see in the streets if I had a bigger house! Where can our readers see you perform in 2019? In July this year, I’ll be performing a concert of arias and English songs in Palm Springs, California. I can’t give more details for now, but stay tuned on my website! Coincidentally, as to the name of this competition, my soul belongs to verismo. Verismo, to me, is the pinnacle of the human expression, and opera by itself is the king of the arts, as it makes the human voice into one with the orchestra, but at the same time, makes it superior than any other instrument in this world. The human voice can do what no Stradivarius nor Bösendorfer can do, which is expressing words. Humanity has become so superficial, hostile and lacking in compassion, that the way I conceive life without arts would be merely meaningless. I do opera not just because it’s my profession, but because my heart demands nourishment. Opera doesn’t only touch my soul, it is the oxygen of my very existence.